Statutory bodies of the ENPC form the General Assembly (joint meetings with all members of the ENPC) and the Board of Directors (composed of members of the National Associations). The General Assembly gathers once a year, within six months following the date of exercise. During this meeting, the general policy of the association is agreed and the budget is approved. The Board meets at least twice a year, and decides about the strategic direction and actions that are necessary to take. The technical experts working groups’ advice and interpretations, about technical standards and use of regulated substances are providing the basis for common solutions. The ENPC Secretariat is responsible for the management of the association, policy issues and maintaining contact with the European institutions. Working groups and the Secretariat prepare and propose policy statements to be approved by the Board of Directors. Mr. Robert Anslow’s career in the nursery industry began over 40 years ago when he joined the family business Charlesworth, manufacturer of quality prams. Recognising the need for a trading platform to bring nursery suppliers and retailers together, he joined forces with two other companies to launch Harrogate Pram Fair in 1968. 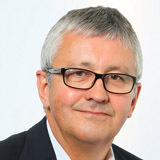 He sits on a number of European advisory and technical committees, including BSI and CEN, and is often called upon as a leading European safety expert for baby products. Mr Anslow was involved in the foundation of the European Nursery Products Confederation. Mr. Roberto Marelli is currently ENPC Vice-President. He represents the ARTSANA group in different trade associations, including the Italian association Assogiocattoli, where is acting as Vice-President. Mr. Marelli started his career in the ARTSANA group as Export Manager, progressively becoming the International Subsidiary Manager. He is actually the ARTSANA Group European Director, a worldwide group leader in the nursery sector. He graduated in Economy at the Milan University. 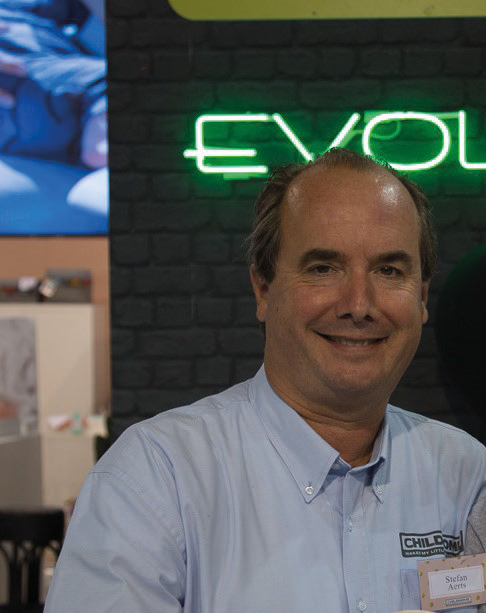 Mr. Charles de Kervenoaël is the President of the French Toy and Childcare Manufacturers Association, FJP, and Vice President of ENPC. Charles is the CEO & President of Dorel Juvenile EMEA, where he oversees the overall business and organization, including full P&L functions, i.e. manufacturing, SC, procurement, R&D, HR, marketing and sales, with 14 direct and 1500 indirect reports. In addition, Charles has 25 years of senior management experience. Prior to joining Dorel in 2013, he held various executive positions for multinationals across the globe, including Danone, Stanley Black&Decker and The Scotts Company. He holds an MBA from the Paris Dauphine University. Mr. Paolo Taverna is Director General of Assogiocattoli, the Italian Association for toys and nursery products, where he closely works for the implementation of innovative services for the associated companies. Previously, Mr. Taverna worked as management business consultant (Touche Ross, Deloitte) dealing with marketing strategies, cost control, and organization in different sectors, from maritime to industry. After years as Organisation Manager in a major advertising company, where he developed important projects at national and international level, M. Taverna joined Fiera Milano International (belonging to Fiera Milano Group) as Operating Manager first, and General Manager later. He graduated in Business Administration at the Bocconi University in Milan. 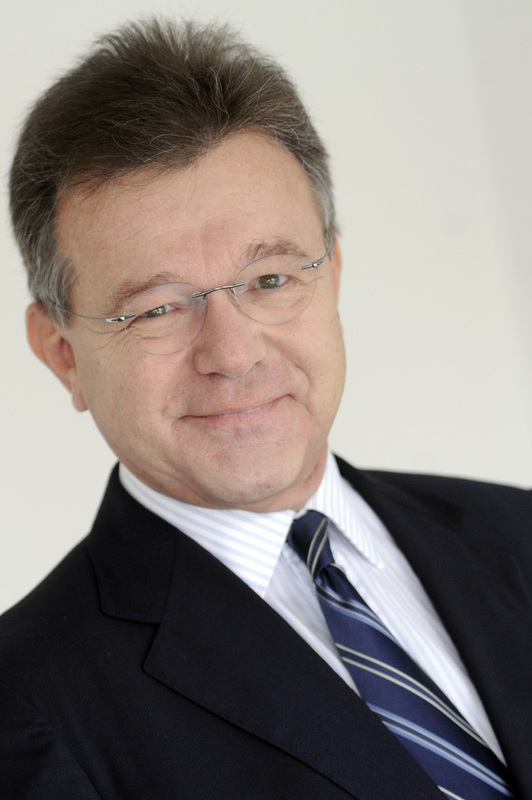 Mr. Michel Moggio is Director General of FJP, the French trade association for Toys & Nursery articles. 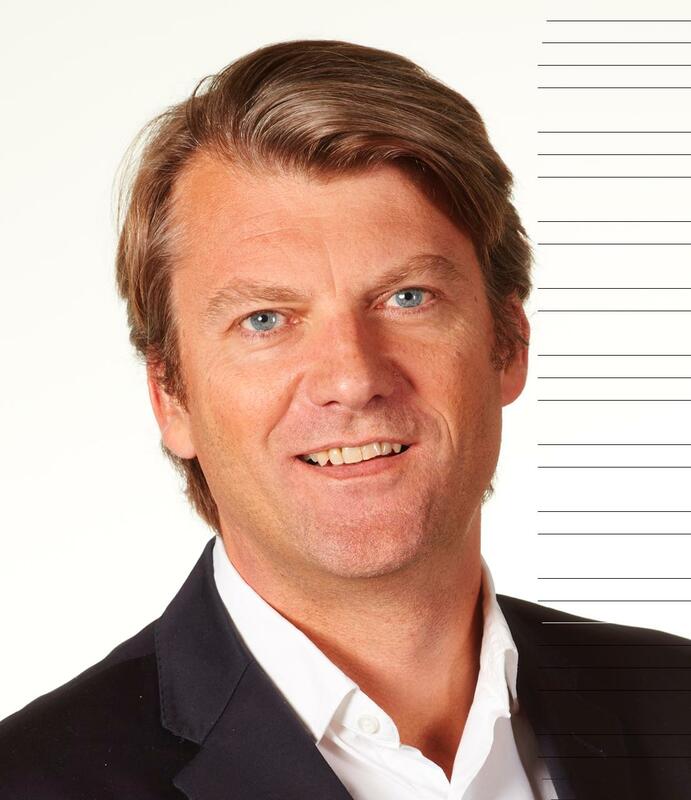 He has acquired over 20 years experience in the sector as he previously was Vice-President International for Mega Brands, after having been the Managing Director for Hasbro subsidiary in France. He graduated from HEC Paris Business School and Paris 9 Dauphine University. Mr. Alessandro Zanini represents Britax Römer – where he is acting as Senior Sales Manager for Central Europe – at the BDKH (Bundesverband Deutscher Kinderausstattungshersteller). He has been nominated President of this national association in September 2013. Mr. Zanini started his professional career in Italy at “l’inglesina Baby SpA” and has been working in the baby products sector for more than 20 years in different countries and for different companies. 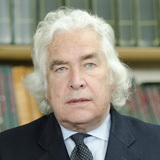 He graduated in Economy at the Venice University. 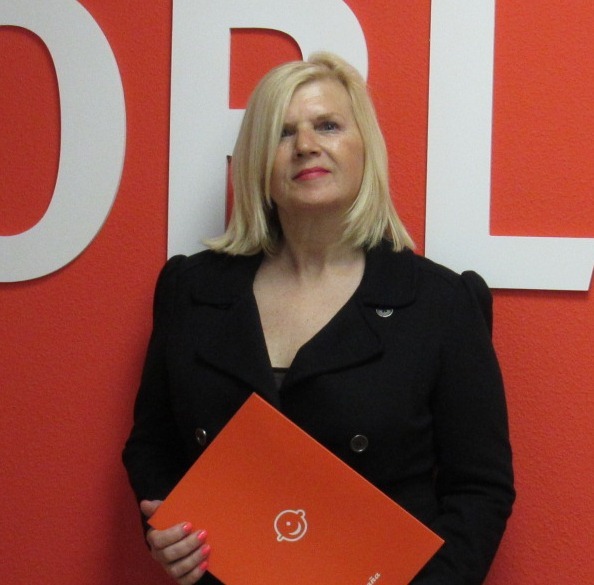 Mrs. Lores Segura Castello is the Director of ASEPRI, representing 300 Spanish children’s fashion and childcare brands. Trade and external promotion expert, she has worked in the International Department of the kidswear brands Clarion and Pito-Pito, and in the Export Area of ASEPRI, where she coordinated actions in international markets, as well as the participation of Spanish companies in trade missions and international trade fairs. She also participated in European projects to improve the competitiveness of kidswear and childcare companies. 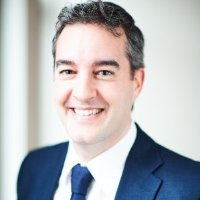 Mr. Andrew Ratcliffe has been involved in the UK nursery market at Managing Director level for 25 years and is currently MD of Dorel UK Ltd and on the management team of Dorel Juvenile Europe. During his tenure Dorel became market leader in the UK with the Maxi-Cosi and Quinny bands amongst the portfolio. 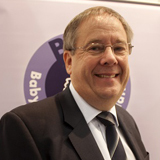 He has been a long term director of the UK’s Baby Products Association with a 5 year term as Chairman and currently acts as Treasurer. He was one of the founding directors of the ENPC and a strong advocate of associations representing the interests of industry. His early career was in consumer marketing following business studies at Manchester Polytechnic. 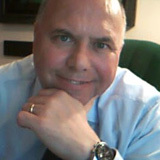 Mr. Vallejo works as a Government affairs expert in Brussels since 2002. He joined toy and children’s articles manufacturer Mattel in 2016, as Head of Public Affairs for Europe, Middle East and Africa. Prior to that, he defended the interests of the toy industry in Europe before the EU institutions and worked as a consultant in EU affairs. Today, he represents the Dutch children’s articles association (VBKV) in ENPC and Mattel in Toy Industries of Europe (TIE), where he is also a member of the Board. Mr Vallejo holds a Bachelor’s degree in Political Science (Barcelona and Lund, Sweden), a Master’s degree in EU Affairs (Brussels), and a Master’s degree in Journalism (Madrid). Mr. Peter Röhrig founded MAM Babyartikel GmbH in 1977, after having worked for ten years at Röhrig & Co, his father’s company. MAM is specialised in baby products, mainly pacifiers and baby bottles. Today MAM products are sold to about 60 countries all over the world, only about 1,5% of them are sold in Austria. 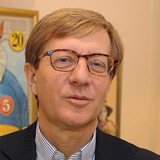 Since 1990 he is Convenor of the CEN TC 252 “Child and Childcare Articles” Working Group WG 5 “Feeding, Drinking, sucking”, and is, amongst others, responsible for the European Soother (Pacifier) Standard EN 1400 and other relevant safety standards. Co-founder and board-member of the Austrian plastics recycling organisation ÖKK, Peter Röhrig graduated in 1967 as plastics engineer from the technical college, TGM, in Vienna. He also followed several management courses and seminars at Stanford, and a postgraduate course at the Harvard Business School. 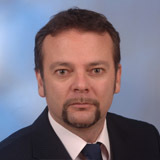 Mr. Stephan Aerts represents the Belgian Childcare Product Manufacturers Association, FeBab, within the Board of ENPC. In 1985, he set up his own company called Childhome, and started delivering baby gear with a little van. He was soon joined by his wife, two years later. Having three children generated ideas for new useful products, which allowed them to develop their own product collection divided in two brands Childwood and Childwheels.